Today, my Monday memories are of my father. He was born in Amarillo,Texas in 1925, and passed away in the Chicago area in 1999. The many years in between were peppered with the good, the bad, and the ugly, but when all was said and done, he was my dad and I loved him. Dad served in the army during World War II, and often spoke about being stationed in the Philippines. Of course, like most veterans, he never talked about the negative aspects of war. All we knew was where he served, and about his buddies that he served with. He was very proud of his service, but very quiet about those years. 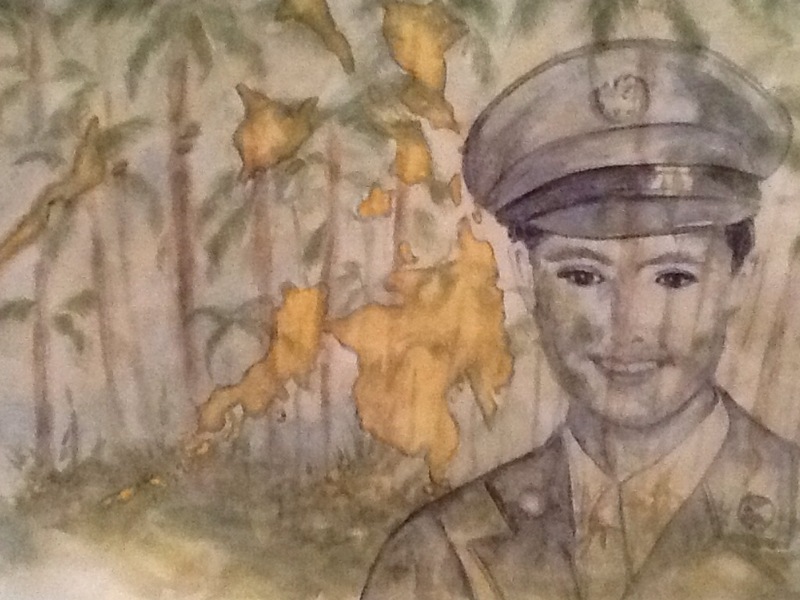 A few years back, I created a watercolor montage of the Philippine Islands, layered with palm trees, then a rendering of my father in his uniform in shades of jungle/army greens. I was always fascinated by his old army stories, photos, and medals, and this was my way of combining these memories and honoring my dad. My only regret was he never got a chance to see it. But, I see it every day. So, I’m sharing this painting and these memories with you. Friday, I had made a bazillion little mini cheesecakes, and had left over batter that I used to make a 9×12 slab of plain old cheesecake filling. I still had about 10 mini cheesecakes and the slab leftover after Friday’s tea party. So, today I cut the mini’s into quarters and dipped them in chocolate, of course. Then, I cut the slab in half, put strawberry jam on one half, topped with the other half and froze it. 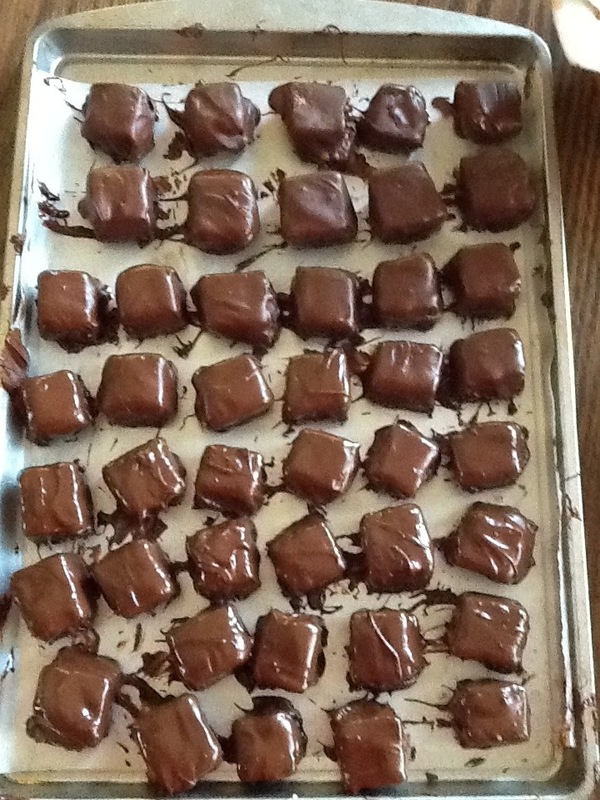 Once frozen, I cut into tiny squares and dipped those in chocolate. All of the dipped bite-sized chocolate delights were then frozen and popped onto many small ziplock bags to be used for emergency chocolate fixes and functions. They freeze very well, and I can sneak into one of the bags and take out one little bite and not feel to guilty. It’s when I take out five or six that I feel guilty. 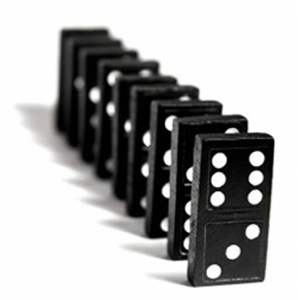 Thus, the domino effect. Cream cheese and eggs on sale leads to cheesecake, which leads to left-overs, which leads to little dipped chocolate bites, which leads to… well, I guess leads to having to go to the gym and work overtime at Zumba class. Down go the dominoes! Just one of the amazing photos shared by Seth Johnson on his blog. 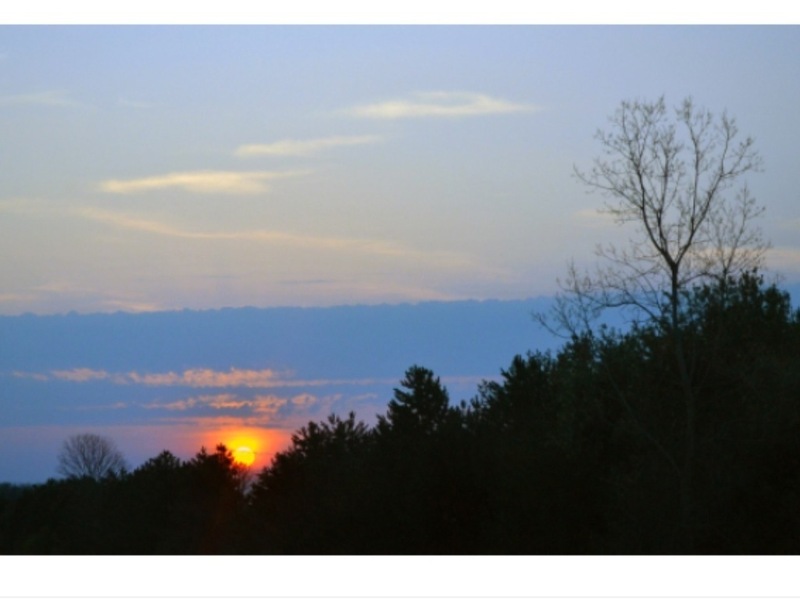 He invites everyone to share their thoughts or just enjoy his fabulous photography. I’m always inspired by his photos and thought you’d enjoy them too. I keep saying I’m going to try my hand at a few watercolor paintings inspired by the beautiful glimpses of nature, but so far, just short poems have been written. Someday! Friday is always a good day. It’s the beginning of the weekend and I always have a great day. 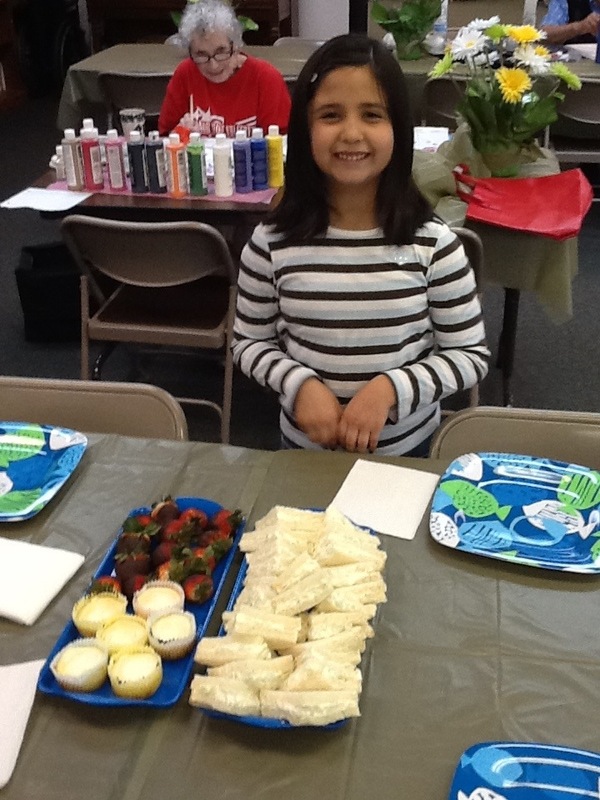 I made mini cheesecakes, chocolate covered strawberries, and little cucumber sandwiches to take to our senior art group at Towne Creek. We had a tea party. Little Andrea helped set the table with plates and napkins. We ate, chatted, sang songs, and painted. It was a good day. We all have faced our own growing pains, as children where everything was new and difficult, and as adults, just trying to get through each day. Today’s theme song is from the old TV sitcom that aired from 1985-1992. I liked the lyrics, especially the part that says, “The luckiest dreamers who never quit dreamin’.” As long as we have each other, anything is possible. I like that. Excellent words to live by. Everyone has special talents and gifts, and they should be used and shared with everyone. Maybe you can’t draw or paint, but perhaps you bake, sew, sing, or write. Your gift might be being able to make someone smile or laugh. There are so many ways to create. 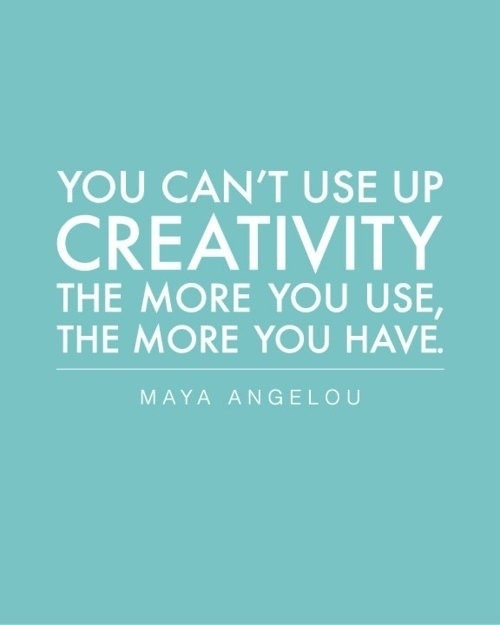 You may not believe you are creative, But YOU ARE! Think about it. What are your gifts and how can you share them? Positive and negative, Yin and Yang, black and white, they are opposite, but one requires the other to fulfill its purpose. I was playing around with some positive and negative forms and shapes. The peace sign is making a comeback. (Far out, man. Who knew the 60’s and 70’s would return?) 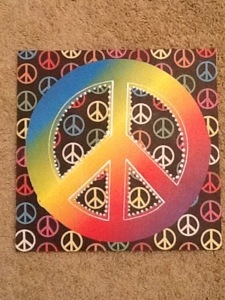 I took 2 sheets of different 12×12 paper in ‘groovey’ colors and traced a peace sign and cut them both out with an exacto knife. 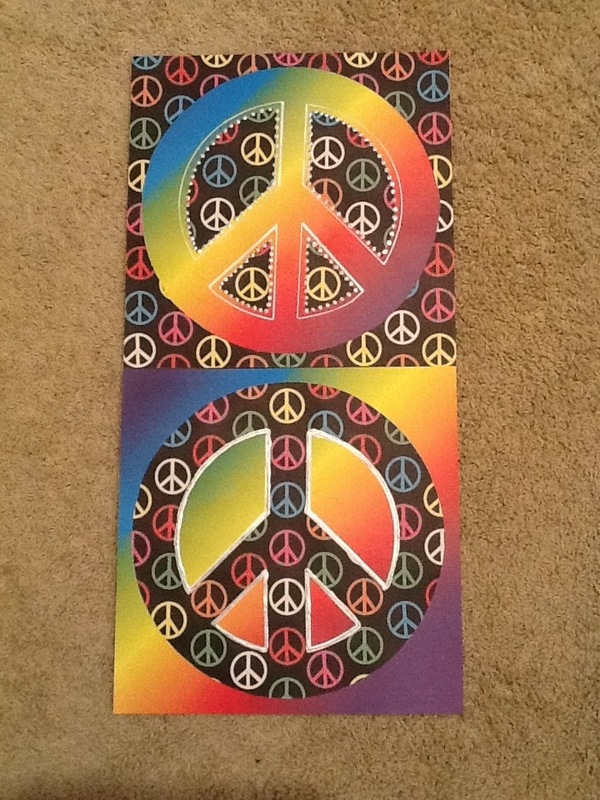 I glued the black patterned peace sign on the rainbow paper and vice-versa. It looked kinda plain, so I embellished with silver paint to look like metal. 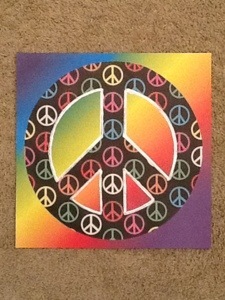 (hard to tell on photo) It was a fun project, and made me contemplate how this relates to life. 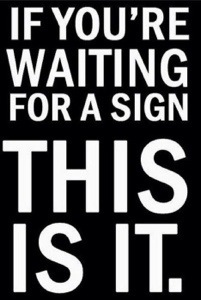 You can take the negative and turn it into positive, you just have flip it over to work for you. The moral of the story is: look at both the positive and the negative. You can make the best of both. There are some interesting videos on Notan design art on YouTube if you want to learn more.